Celestyal Cruises shows off the best of the Eastern Mediterranean, especifically the most beautiful and most precious sights on the Aegean coast. So fall in love with Greece and Turkey and stimulate all your senses while absorbing the rich history, culture and natural wonders of every port of call. On our cruises, you can learn about the Minoan civilisation, visit the Grotto of the Apocalypse in Patmos, scuba dive in the Aegean, sit in a café in Oia and watch the sun set beyond the caldera, and even walk on a volcano in Nisyros. And this is only a teaser of our itineraries. Rest assured they are spectacular. But worry not, your on-board experience will be equally fabulous. When it’s time to kick up your feet, allow yourself to be wowed by the entertainment we have lined up, our super-comfy lounges and lip-smacking cuisine. So, from music, to live performances, exciting DJs, talent contests and dancing, to sipping exotic cocktails on the pool deck, every moment is packed with leisure or entertainment. We make sure you’re spoilt for choice. 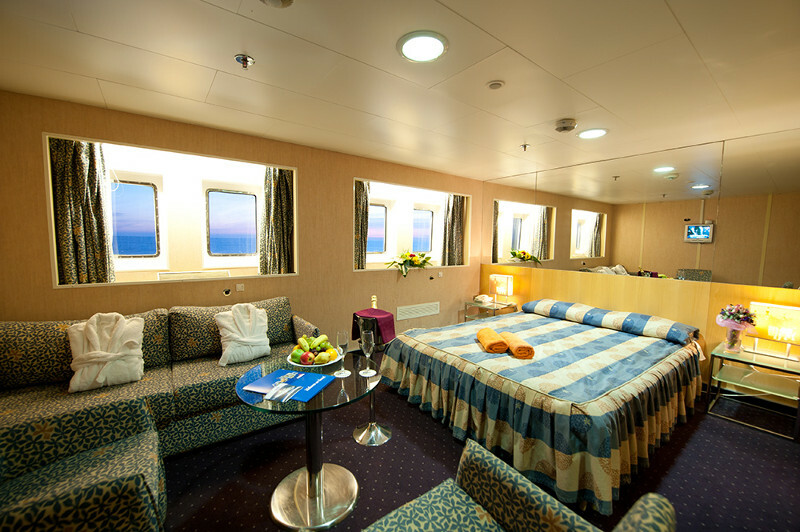 Celestyal Cruises achieves that perfect balance between making your on-board and on-shore experiences perfectly memorable. 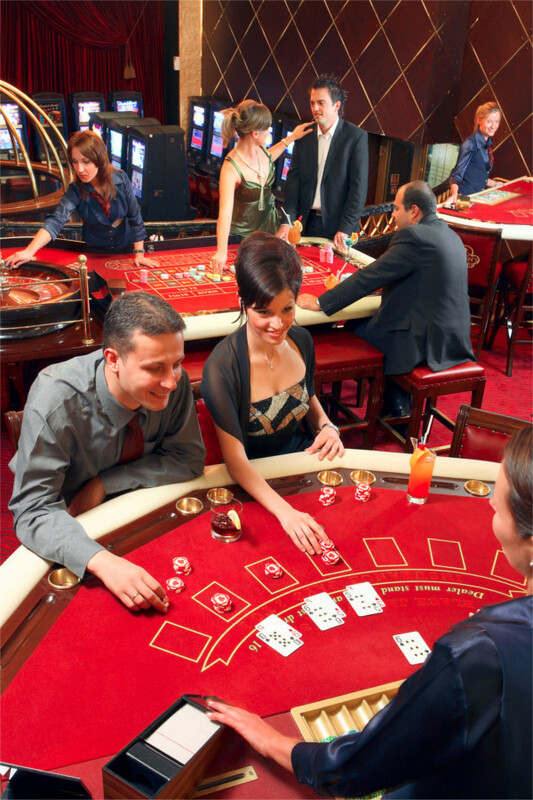 On our cruise ships, the fun and activities never stop. Every day is full of adventure, games and non-stop inventive entertainment for all ages and talents. Children are creatively and educationally occupied and adults have the opportunity to feel like youngsters again. There’s live classical music by a pianist, duets singing passionately, contests and talent shows, traditional and international dance classes and an opportunity to form your own ‘club’ and get acquainted with like-minded people. Night time on our ships is packed with music and entertainment. We promise you the night of your life, the kind that ends the next morning. Mostly, you can dance, dance, dance! You’ll also find classical concerts, disco, karaoke, line dancing and talent shows – there’s music everywhere on board our ships. 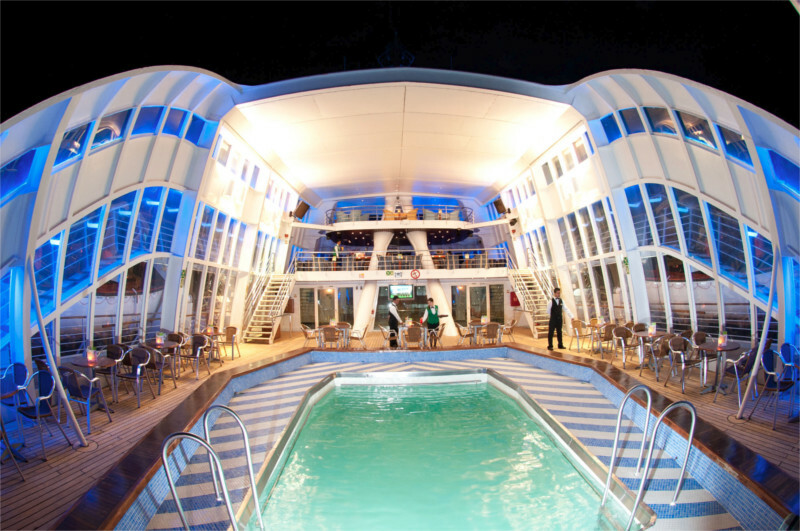 On each of our ships, we’ve built a complete nightclub with a high quality sound system and professional club lighting. Come have a drink while professional DJs spin the best contemporary sounds, both Greek and international. Join us on the pool deck or at any of our luxuriously appointed bars and lounges for a cold beer, a glass of wine, or a specialty cocktail or coffee. Try our Santorini whites, like assyrtiko, dry and fruity, and athiri, which is slightly aromatic, or our Peloponnesian wines, like white Moschofilero, with its aroma of roses and violets and spice, and Agiorghitiko, a dry aromatic red. Enjoy a chilled glass of ouzo, the famous anise-flavored liqueur of Greece, or our bartenders’ spectacular Skinos cocktails, delicious one-of-a-kind concoctions with mastiha, a liqueur made from the mastic bushes of Chios. 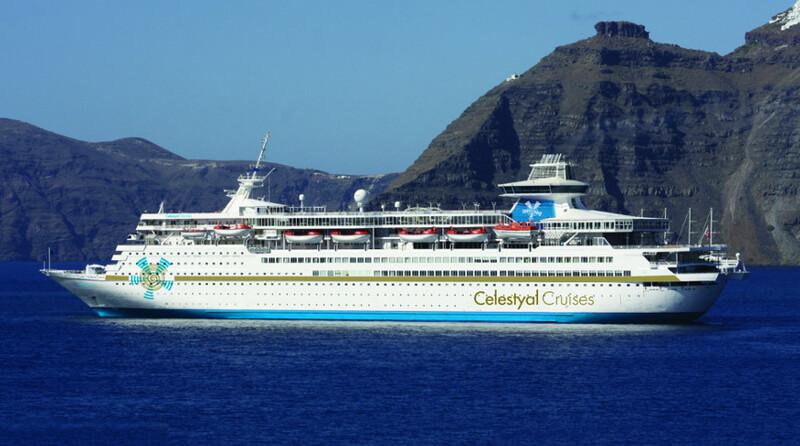 A Celestyal Cruise is a journey deep into Greek cuisine, which is famed for its health benefits and simplicity. We prepare our dishes on board with fresh, seasonal and local ingredients and our menus include dishes from the incredible spectrum of Greek gastronomy.